LOTS of good things going on these past couple of weeks. I will try to give a brief synopsis. I have several Middle Grade fiction books on my immediate TBR pile. The goal is to read one per week and then write a short book impression for each. This week I have nearly completed The City of Masks by Mary Hoffman. While not my usual genre, I must admit I have enjoyed it. This tale is set in a parallel Venice called Bellezza. Lucien, ill in this world, has a special notebook by which he communicates. This is also his gate to a magical place where he discovers he is a magician who can travel in space and time, and and is destined to save Bellezza from disaster. I have enjoyed the storyline well enough, but what I truly love is the setting. Reading the descriptions of the streets. alleyways, and canals brings back fond memories of my recent visit to Venice. Oh, how I long to return! This is the first book in a series of four. I like the idea that each of the other books takes place in other famous Italian cities, I’m not sure I will commit to reading the rest of them. SO much writing news to share! On June 2nd I took a major step outside my comfort zone and attended a Memoir Writing Group at one of the city branches of our county library. I am considering writing a memoir and thought this might be a good way to begin. The others in attendance were warm and welcoming, and I look forward to returning again next month. On June 10th I took another major step outside my comfort zone and attended a writing critique group for the expressed purpose of sharing my Middle Grade novel and receiving feedback. And I am pleased to report… they didn’t hate it! I left with some great suggestions for improvement, and I am encouraged to continue the revision process. I plan to revise another three pages of the manuscript to take to the next meeting in two weeks. 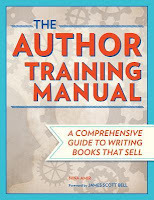 I am currently reading The Author’s Training Manual by Nina Amir. I have only read a couple of the chapters, but I know this is a book I want to keep in my personal library. The book is organized into 9 essential steps to becoming a successful author. The first half is a textbook, providing a wealth of information to help the reader decide if this is her true calling. The second half is comprised of comprehensive, practical exercises that correspond with each chapter. There are 35 exercises just for chapter one! One of the questions I chose to tackle provided me with great insight and a clear personal goal. In essence I had to define what a “successful author” meant to me. I discovered I not only desire to connect with others through writing, but I desire to inspire others to write. I am now ready to commit to a consistent schedule. My problem in the past has been lack of focus… but I am currently working on a unifying theme for this blog that I think will inspire me to write content rather than flounder. The first step is to write more book reviews. In analyzing my blog statistics, I realized those posts are the most popular, and I need to return to that practice. I have read and maintained a few notes on at least a dozen books since the beginning of the year. I plan to begin there. While I did not officially take part in the summer Bloggiesta, I did take time to analyze post statistics and add a few header tabs for easier blog navigation. Baby steps in what will be a long-term project. 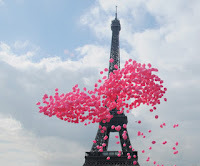 I also want to share my trip to Italy with you… as well as focus on the setting of my MG novel, PARIS. I plan to take part in the sixth annual Paris in July meme, and then continue those posts throughout the fall with my own French Friday. Sunday Salon has a special place in my heart, so I plan to continue to be a part of this fabulous online community as well. Yep… that’s right… after discovering my desire to inspire others to write, a plan came together. And, in less than a week, I secured a teaching job and a journaling workshop for the fall. I am still retired, for the most part, but I am thrilled to return to the classroom in this new-and-improved capacity. I will be teaching a Storytelling Workshop at my old alma-mater. I will teach high school students on Monday afternoons and middle schoolers on Wednesdays. The workshop will be two hours to allow plenty of in-class time for writing and sharing, and the best part is… NO GRADING! The class will be pass/fail and I hope to teach elements of good storytelling that incorporate the six trait writing program. It is my sincere desire that this class will inspire young students to create fabulous narratives and share them in a compelling way. I will also be facilitating a Journaling Workshop for Gateway of Hope. Right now the course is in the brainstorm stage, but I plan to work on a structure and format throughout the summer. Again, I am thrilled to share my love of journaling so others may also experience the emotional, physical, and spiritual benefits this practice offers. I have lots of reading, writing, and planning ahead of me, but I could not be happier. I hope this upcoming week is filled with lots of summer goodness for you as well. Hooray for stepping out of your comfort zone! I'll say you stepped out! I love all the ways you extended yourself this week. You have some great plans, perfect way to continue teaching without the grading and planning!! I love anything Paris so will check out the meme! A unifying theme for the blog. That always is a hard one, I know. I'm still scattershot, even though I try to stay focused. It's not always easy. You sound happy and energized! So many good things going on that I can't decide which one to comment on first… I'm happy for you, Molly.